As discussed in our blog, Why implementing an effective ‘inbed’ care management approach as a whole makes economic sense, there needs to be Human Centred Design approach to ensure that both patients and their carers are at its epicentre. As a result, patients have a better ‘user experience’, receiving safer care and avoiding both force related tissue damage and new infections. 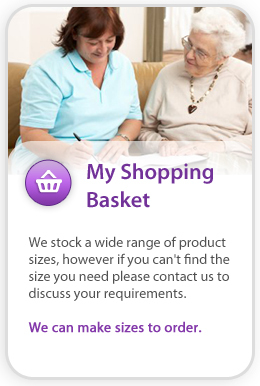 By using products that work intuitively, ensure that both force related tissue damage and behavioural drift can be eliminated whilst carers avoid musculoskeletal injury from the repetitive moving and handling of patients. For many years now, there has been a reliance on training to enable carers to avoid injury and to safely move and handle patients. The challenge of encouraging the adoption of innovative products and changing to safer working practices remain, despite Simon Steven (NHS England Chief Executive) stating in 2015 that the ambition of the NHS was “to become the best place in the world to test innovations that produce benefits for patients and taxpayers”. However, the Health and Social Care sector continues to rely on monitoring behaviour compliance and overlooks the designing-in prediction, prevention and a safer care trajectory. It is sometimes just the knowledge gap in Health and Social Care organisations, that stops carers and care organisations from exploring ‘better ways’. Often however, it is the “we’ve always done it this way” mentality. From a more cynical perspective, there is also an element of unwillingness to change from both individuals and collectives who have a vested interest in maintaining the status quo of currently accepted products and training practices. In our open letter to the Presidents of the NPUAP and EPUAP, we highlighted that the need for change, to promote safer care for carers as well as their patients, must come from advisory bodies. Therefore organisations as such, should be addressing the gap between ‘best in class’ products and practices that enable safe inbed care for both the caregiver and the care receiver. They can do this by promoting the designing out of unsafe care (i.e. higher-level hierarchy risk control) as well as advocating elimination of the use of unsuitable products and widely accepted practices. As explained in this Safety Dance video, the philesynergetic approach is that tool which we believe will transform the care of patients ‘inbed’;. It is the tool, which will enable patients to be moved safely without the risk of force related tissue damage and/or physical risk to the carer. Instead, re-orientating the patient’s body mass by working with gravity, in combination with the correct interfacing synergetic resting/support layers to provide the patient’s rest, movement and stability on their resting surface. 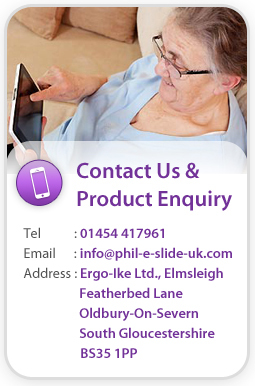 Phil-e- Slide is championing change, to improve ‘inbed’ care for both patients and carers. Will you join us?